I don't think it would surprise anyone if I said that I like to wear classic styles, the color pink, and bows. So this dress from Shabby Apple brings a few of my favorite things to wear together in one dress! Shabby Apple specializes in vintage inspired, classic, modest clothing. I love how this dress has a vintage feel with the straight across neckline and slightly longer length, but is made a little newer looking being made in this bright and fun color. I really love this shade of pink, I think it would be great for any time of the year! This dress is actually part of the bridesmaid dress and "Wear to a Wedding" collection. So, I think it would be great to wear as a wedding guest, another special occasion, or even a regular Sunday at church. However I need to warn my fellow short girls (I'm 5'2" for reference), this dress was a little long on me. Mostly in the top part though, I have it pinned up a little near the waist, it was also a little longer on the legs than a dress I would usually wear, but again with pinning it near the waist, I think it became a good length on my legs. It actually sort of reminds me of the Lilly Pulitzer Hera dress from their fall collection that was made in black 2 years ago, and in pink and navy last year. The lace detailing is pretty similar, and the one I'm wearing is more affordable. And you probably already knew that I like to add bow belts to dresses (see this post, and this post from earlier this summer, my favorite holiday look in this post), so I love that one already has a bow around the waist! Shabby Apple Alice dress c/o, sold out in pink, still available in navy and cream, (also available as a maxi dress) | White heeled sandals (old, similar, similar) | J. Crew iridescent earrings (old, similar) | Loren Hope Mishelle cuff c/o RocksBox (use code "caralinastylexoxo" for your first month free!) 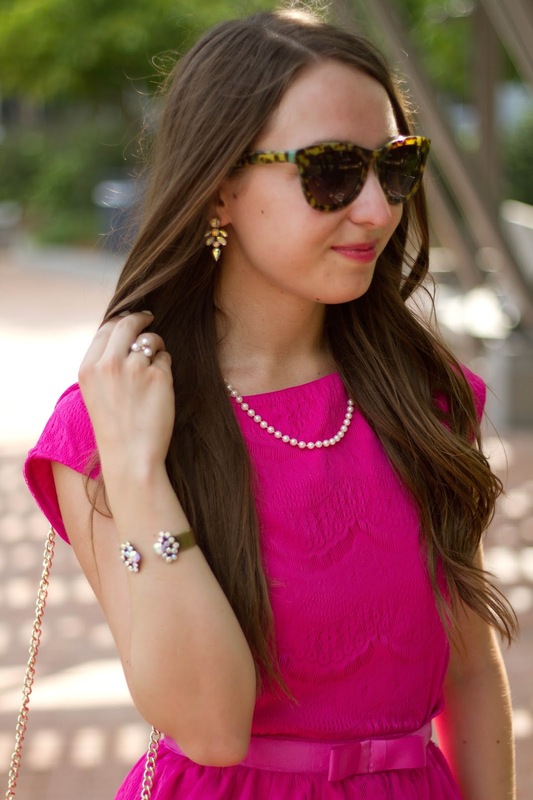 | Loft pearl rings | Talbots bag (sold out online, still in stores, similar) | Anthropologie sunglasses (old, similar, similar) | Thanks for reading! I have the Lilly Hera dress and love it but I love the looser fit of this one too! This looks super cute on you Cara! This dress is gorgeous! I love the color. 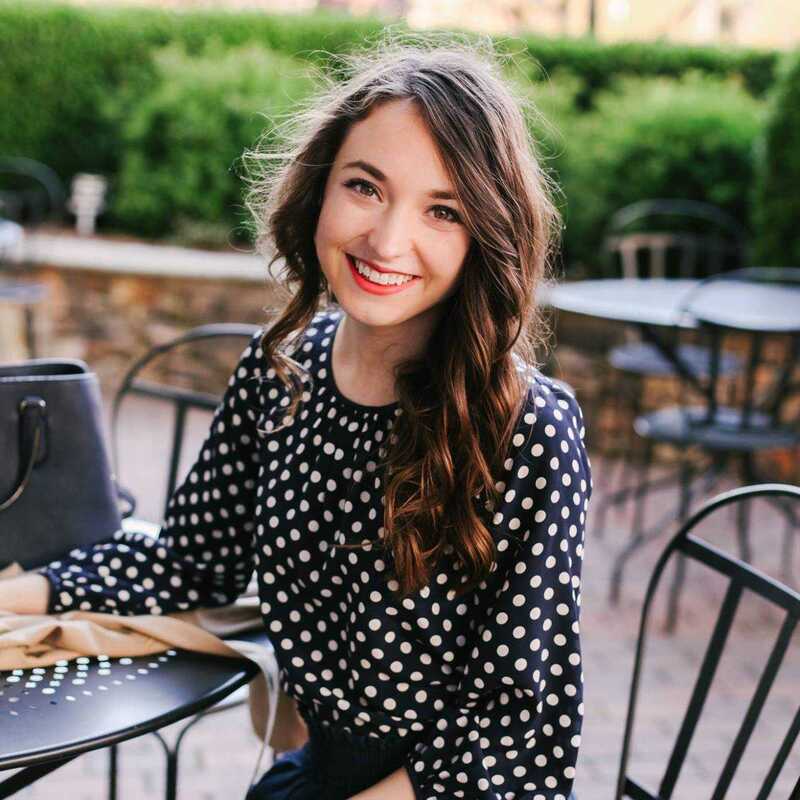 Shabby Apple's style is so cute! Ugh isn't this dress the cutest? Sorry for the "ugh" but I am easily tempted by anything lace. That's tough when you're trying to do a shopping ban. Ha!